Zonnique Pullins posted another picture from her birthday bash, and she looks beyond gorgeous. 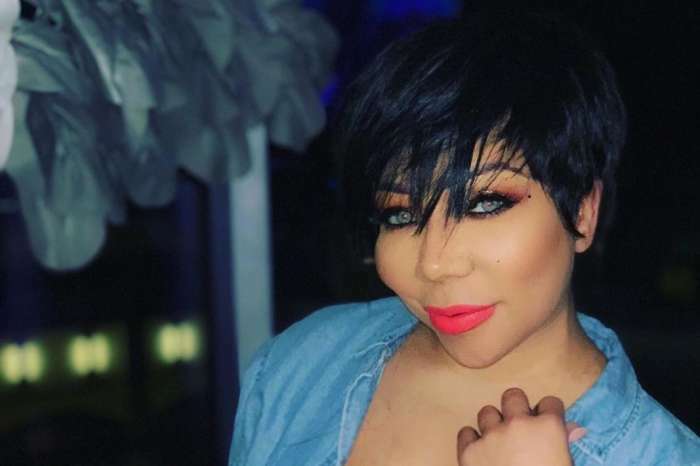 Fans even tell her that she looks a lot like her mom, Tiny Harris, so check the photo out for yourself to see if they’re right. ‘Aww, you look so cute you look just like ur mommy god bless you and wishing you happy birthday hun’ one of her fans wrote next to the lovely photo. ‘Happy Birthday Beautiful @majority @troubleman31 all of you have y’all hands full and you two did a wonderful job in raising such a wonderful young lady,’ another commenter posted, wishing Tiny and Top’s daughter all the best. took these to caption this “gucci gang” but honestlyyyyy my cousin is the baddest and I give everyone permission to take notes?? Zonnique’s actual birthday is tomorrow, March 20 but she has been celebrating the great event for a few days now. ‘So beautiful just like mommy. Loving this Blueberry on you. You’re so beautiful, never seen anything like it T.I and Tiny did very good. You’re so cute!!! You should do baby blue hair lighter hair looks so good on you and will match your eyes! !Are her eyes naturally that color? ?,’ asked a fan gushing over Zonnique’s beauty. We also wish this beautiful girl a Happy Birthday and all the best for herself and her family!